Each space has a customizable overview, which you can edit to suit your purpose—like displaying and tracking team goals and displaying a list of team members. 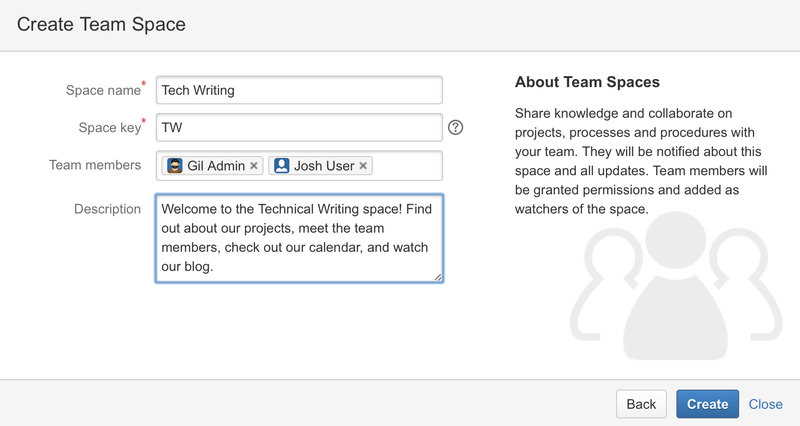 Use the "Team space" template to automatically add all members of the team to the overview, to help everyone get to know each other. Like what you see? Try using Confluence as your intranet.